With an eye towards weaning our calves, last week’s tour of the Greasy watershed to check cattle and feed conditions was a pleasant surprise. Typically we begin weaning in mid-May when the grass turns. With less than 0.75” of rain in the last forty-five days, my expectations were minimal. But our upper country above 1,500 feet has fared substantially better than our lower foothills where only patches of green remain high on the north slopes. Having reduced our cow numbers by 40% due to the ongoing drought, we have found a temporary equilibrium between grass and cattle without having to feed much hay last winter. But due to feed limitations, we were unable to keep any calves last season for replacement heifers. Assuming a return to more normal weather conditions, we will need to replace our older cows while also trying to add numbers to our cowherd. However many heifer calves we’re able to keep, won’t produce a calf to wean for two more years. Rebuilding a cowherd is a slow process. Certainly the three girls above will be candidates, but how many we’re able to keep remains to be seen. 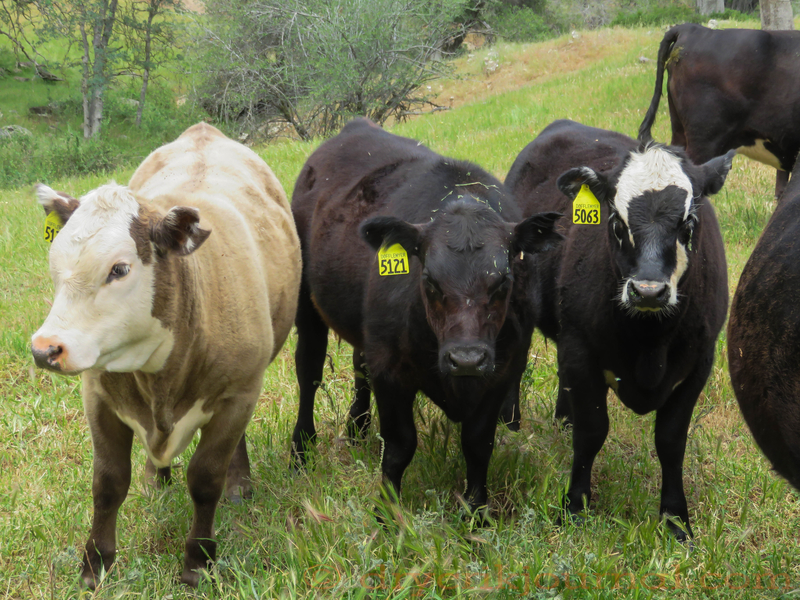 This entry was posted in Photographs, Ranch Journal and tagged grass, Greasy Creek, Replacement Heifers, weaning. Bookmark the permalink. Nice looking heifers John. Hope the rains much needed for grass production return to a more normal amount/cycle.